SOVA SILVER P-M 90/200/20 - ALERGSOVA Sp. z o.o. SOVA Mattress Encasing is made of Evolon® fabric – protective barrier against mites and their droppings (allergens). Moreover, our special technology of sewing prevents penetration of allergens on seams and by zippers as well. SOVA Mattress Encasing is intended for home use as internal lawyer on the mattress - the main habitat and the development of house dust mites. The mattress must be removed from the bed because it puts the inside cover and fastened with a zipper. 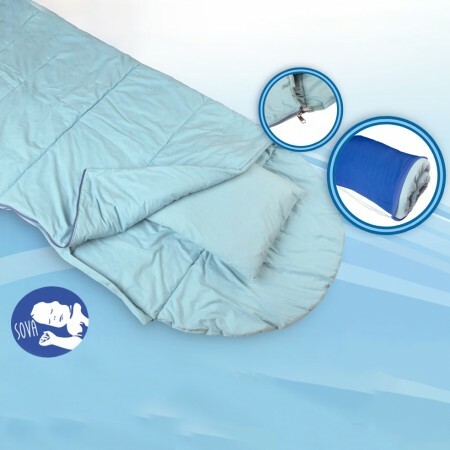 SOVA Mattress Encasing is used as an additional coating between the mattress and sheet.